Now that fall is here, strawberries are going out of season. Strawberries are my FAVORITE fruit, so I am sad to see the organic strawberries start to go in the grocery stores. One of my favorite healthy strawberry recipes is a strawberry spinach salad with orange balsamic vinegar dressing. This dressing is super easy to make at home with your Magic Bullet and it goes so well with this salad. Who said spinach can’t be delicious? This spinach salad is packed with antioxidants and vitamin C, keeping you energized and healthy. 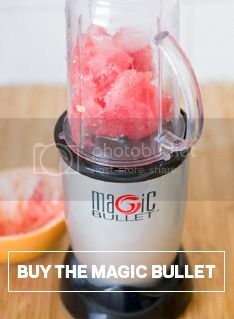 Add all ingredients to a small Magic Bullet cup and pulse a few times. Serve over spinach tossed with sliced strawberries, or desired salad.